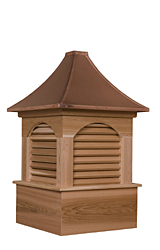 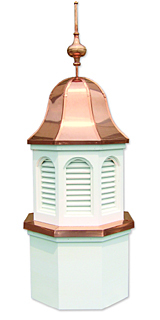 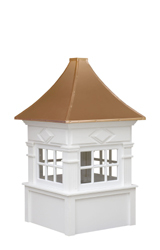 We offer cupolas built of Metal, Copper, Cedar and Azek materials. 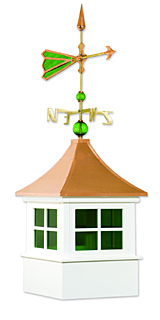 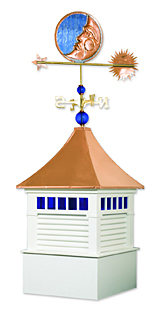 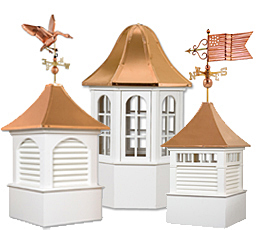 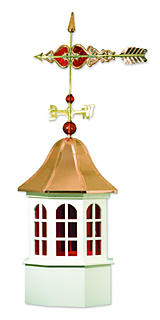 Our Cupolas come in many shapes & styles. 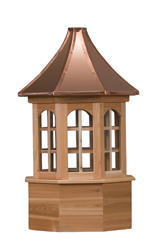 From simple shed cupola to more elegant custom built cupola, you can count on quality construction by Pennsylvania Amish craftsmen. 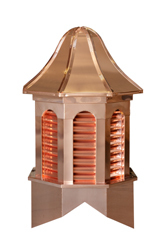 Please contact the Manufactuer direct for prices, availability and shipping quote.